On Tuesday 05th of June, Future Foundations headed to Eltham College, South East London. We were delighted to be delivering our third consecutive leadership day to 100 Year 12 students. The day was created in order to get students ready for the step up into Year 13 the pivotal point in which they become leaders within the school. The day was not limited to the development of leadership as team work, and self-confidence were also explored when trying to get the students to think about the legacy they want to leave behind at their school. The programme was course directed by Jason who was accompanied by our Future Foundations coaches Amrit, Henderson, Olivia, Lina, Patrick, Nadia and Tamya. An interesting and insightful in-depth look at the importance of leadership. I learnt about the details that accompany being a leader. Feel pleasantly surprised as was able to come up with innovative ideas that could help our community. It is an experience that has made important life skills like leadership become more easy to acquire, i.e. it seems easier to become a leader. Future Foundations provided a varied programme delivered across the school site, including experiential team tasks and reflection sessions throughout to relate learning to the objectives of the leadership day. The day was launched with a motivational plenary, delivered by Course Director Jason themed around ‘Living Leadership’. During this, Jason discussed everyone’s role and responsibility to be a leader within their school, community, and society. This was showcased through our practical task: driving me, where students learnt that they can direct their future if they want to. Students were then split into groups where they worked through workshops themed around self leadership, leadership styles, your personality, lava challenge, and the sixth form challenge. The programme was facilitated by an experienced team of positive, dynamic staff inspired by the firm belief that all young people are full of capability and possibility and throughout the programme there was an ethos of support, teamwork and cooperation. 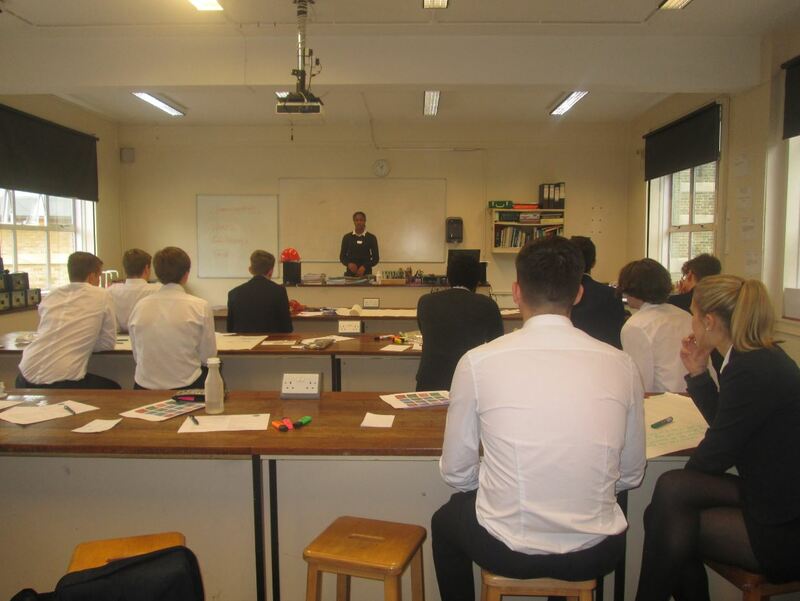 This was the first time Future Foundations have delivered a programme at Eltham College and it was fantastic to work with a group of such engaged students and school staff. The final sessions of the day provided time for the students to reflect on the sessions that they had taken part in during the day. It is fair to say the message left ringing in the students ears was that setting goals is important. You become a leader by striving towards the goals you set for yourself. If you are interested in bringing Future Foundations training to your school please contact alice@future-foundations.co.uk to explore how we can help your students to reach their full potential.